The historic Scandic Grand Marina is housed within a beautiful early 20th century warehouse, with stylish contemporary interiors, modern meeting rooms and a large terrace. Overlooking the waterfront in Katajanokka, next to Market Square and Helsinki city centre, explore the city on foot or by bike, relax with a drink in the bar and savour freshly prepared dishes in the restaurant. 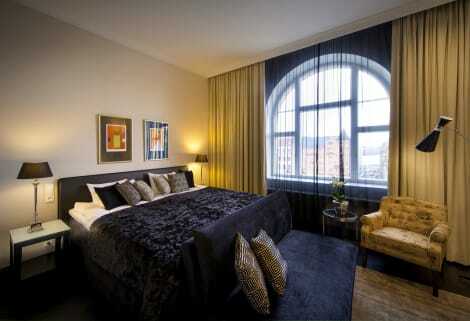 Sleep well in rooms equipped with modern amenities, free Wi-Fi and en suite bathrooms with FACE Stockholm products. The Scandic Paasi is a unique design hotel located in Helsinki’s vibrant Siltasaari district, next to the Hakaniemi Market Square and floating Restaurant Meripaviljonki. The hotel lies within walking distance of Helsinki Cathedral and offers easy access to the centre. After a good night’s sleep, wake up to a filling breakfast, rent a bike and explore or stop by the bar for a drink. 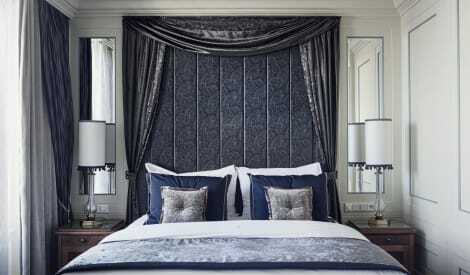 Each tastefully decorated room has free Wi-Fi and an en suite bathroom with complimentary FACE Stockholm products. 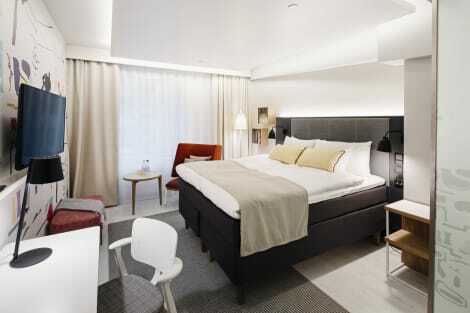 The boutique 4-star Klaus K Hotel is located in the heart of Helsinki, 450 yards from the Esplanadi shopping district. Its designer interior includes Restaurant Toscanini, serving Italian cuisine and Tuscan wines. The stylish rooms feature free wifi, LCD TVs, mini-bars, and Malin + Goetz™ amenities. Enjoy a satisfying meal at Restaurant Arthur serving guests of Hotel Arthur. A complimentary buffet breakfast is served on weekdays from 6:30 AM to 9:30 AM and on weekends from 7:30 AM to 10:30 AM. In Helsinki’s stylish Design District, Hotel Indigo® Helsinki - Boulevard is situated on one of the city’s most historic, well-located streets, Bulevardi. Our hotel offers 120 modern, comfortable guestrooms decorated with unique murals designed by local artists. Our own Restaurant Bröd (“bread” in Swedish) is an urban bistro serving a mix of European and local fare with a focus on fresh-baked bread. Try our signature fish dishes, deep-fried vendace and tomato dressing, and vendace roe toast -- delicacies that are very Finnish! Or visit the new BLVD26 Lounge Bar for a glass of champagne or wine. During your stay, tour the town on the hotel’s Pelago bikes, made in the neighbourhood -- and after a busy day exploring, enjoy spa time in our dry sauna and steam room, relaxing the way Finns do. We offer complimentary Wi-Fi, 24-hour room service, fitness studio, business services, Boardroom-style meeting space, and garage with charging points for electric cars. We’re both an eco-friendly and pet-friendly property. 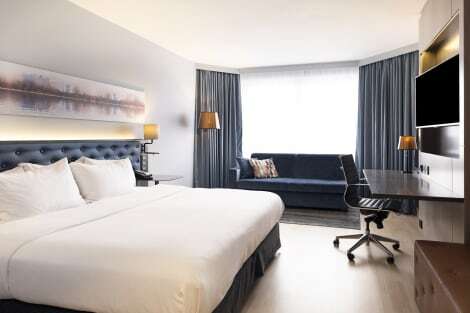 Scandic Simonkenttä is a contemporary hotel in the heart of Helsinki, offering spectacular city views and direct access to Kamppi Shopping Centre. Helsinki Railway Station and Temppeliaukio (Rock) Church are a short walk away. Relax with a drink in the stylish bar, savour Finnish dishes in the restaurant or melt your cares away in the sauna. The hotel also provides bikes to explore the city. 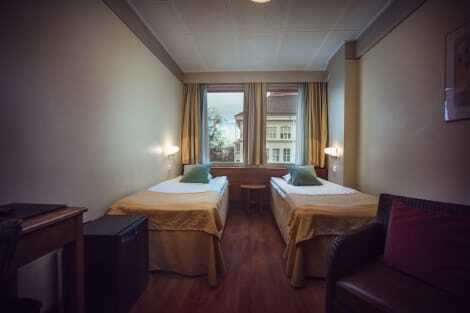 The modern rooms have free Wi-Fi and an en suite bathroom stocked with FACE Stockholm products. Having hosted royalty, heads of state and artists since opening in 1887, the 5-star Hotel Kämp is filled with history, and is still one of Helsinki’s most elegant hotels today. Overlooking the Esplandi Park, the hotel sits in the city centre, and is home to the classic Brasserie Kämp, the modern Asian restaurant Yume, an inviting bar and a spa and gym. Combining classic and contemporary styles, rooms at the Hotel Kämp offer LCD TVs, minibars and luxurious marble-finished bathrooms. Close to the Helsinki’s Design Museum and Johannes Church, the Hotel Lilla Roberts is a modern boutique hotel, found in a building dating back to 1908. Combining original features by renowned architect Selim A. Lindqvist and contemporary style, within the hotel you’ll find a gym, the Krog Roba restaurant, specialising in Scandinavian cuisine, and the Lilla e. cocktail bar. Rooms at Hotel Lilla Roberts all have large, flat-screen TVs, Egyptian cotton linens, minibars and Art Deco style bathrooms. 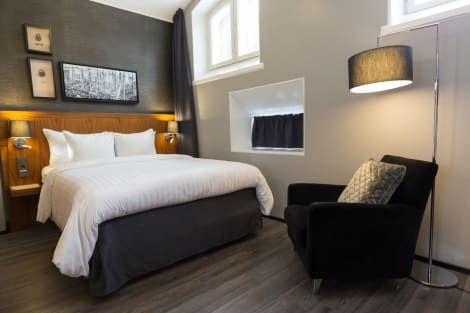 This beautiful 4-star boutique hotel is located right in the center of Helsinki close to the gardens of Esplanadi, the Market Hall as well as the Helsinki Cathedral. The spacious and comfortably arranged rooms offer everything for a short visit as well as an extended stay. All rooms are flooded with daylight, have a minibar, a TV, bathroom amenities including a bathrobe, air conditioning and there is complimentary WIFI in all rooms and public areas. The Lux Rooms are additionally equipped with a kitchenette. After a long day, guest can enjoy a drink at the lobby bar. Enjoy the sea breeze at the Hilton Helsinki Strand hotel, located on the waterfront and just half a mile from the city's shops and businesses. Relax at the top floor sauna, pool and gym complex or borrow a bicycle and ride along the bay. It is easy to do business at this Helsinki hotel with nine meeting rooms for up to 280 guests, a business center, Executive Lounge and wireless internet access. Enjoy drinks in the bar or Executive Lounge, before dinner in the elegant glass atrium overlooking the sea. Sample Finnish specialties at the Hilton Helsinki Strand hotel's elegant Bridges Restaurant, or lunch overlooking the water at Atrium Lounge and Bar. Shop at Aleksanterinkatu or catch the nearby ferry to Helsinki Zoo. Stay at the peaceful Hilton Helsinki Kalastajatorppa hotel, overlooking the Gulf of Finland and just a 10-minute drive from central Helsinki, Finland. Host a business conference in 17 meeting rooms. Wireless internet is accessible throughout this sea-view hotel. Unwind in the gym and the indoor pool, or relax on the private beach in the summer.The Hilton Helsinki Kalastajatorppa hotel’s meeting rooms feature space for up to 500 guests. Use the business center to connect with colleagues or send email on your laptop using WiFi in hotel guest rooms and public spaces. Admire the view from deluxe and business guest rooms. Enjoy breakfast at Restaurant Oceana at the Hilton Helsinki Kalastajatorppa hotel. For dinner, appreciate sea views from the terrace at Restaurant Meritorppa. End the day with a drink at the Vista Bar & Lounge.Play on one of six tennis courts or visit nearby Helsinki attractions, including the Helsinki Cathedral and Suomenlinna island fortress. 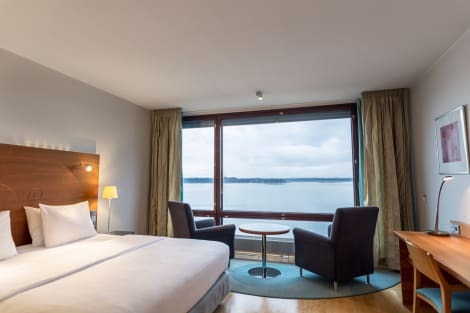 At the contemporary Scandic Park Helsinki, enjoy stylish accommodation in a strategic location, opposite the beautiful Töölö Bay, a short walk from the city centre. From the hotel stroll to Finlandia Hall and Temppeliaukio (Rock) Church, or rent bikes to explore the city. Sip a drink and people watch in the cosy Famu Bar, savour modern dining in the restaurant or relax in the sauna and swimming pool. 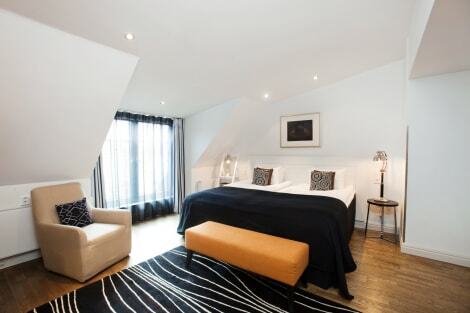 Each modern room has free Wi-Fi and an en suite bathroom stocked with FACE Stockholm products. Featured amenities include complimentary newspapers in the lobby, dry cleaning/laundry services, and a 24-hour front desk. Planning an event in Helsinki? This hotel features 0 square feet (0 square meters) of event facilities. Self parking (subject to charges) is available onsite. Quench your thirst with your favorite drink at the bar/lounge. Buffet breakfasts are served on weekdays from 6:30 AM to 10:00 AM and on weekends from 7:30 AM to 10:30 AM for a fee. With a stay at GLO Hotel Art, you'll be centrally located in Helsinki, within a 10-minute drive of Stockmann and Finlandia Hall. This 4-star hotel is 11.7 mi (18.9 km) from Flamingo Entertainment Centre and 1.5 mi (2.4 km) from Helsinki Cathedral. Make yourself at home in one of the 147 guestrooms, featuring kitchenettes with refrigerators and microwaves. Complimentary wireless Internet access keeps you connected, and flat-screen televisions are provided for your entertainment. Conveniences include coffee/tea makers, and rollaway/extra beds can be requested. Hotel Katajanokka is a privately owned lifestyle hotel. Built into the historic premises of the former Helsinki country prison, the hotel now offers comfort, stylish Nordic design and exceptional service inside its red brick walls. It is located in Katajanokka close to Uspenski Cathedral, the harbour and the Helsinki Cathedral. Rooms are carefully reconstructed from original cell blocks, with design and decor that makes no compromises on functionality and comfort. Purpose-built for privacy and peace, the metre-thick brick walls make the rooms very quiet, ensuring a good night’s sleep. Whilst the tall ceilings and individually adjustable cooling system add on to the airy and spacious vibe, the triple-glazed windows keep the hustle and bustle of the city outside. All room rates include a generous buffet-breakfast, free use of our 24-hour gym and a complimentary weekend sauna. With a stay at Forenom Serviced Apartments Helsinki Lapinlahdenkatu, you'll be centrally located in Helsinki, within a 10-minute drive of Finlandia Hall and Stockmann. This apartment is 11 mi (17.7 km) from Flamingo Entertainment Centre and 1.5 mi (2.3 km) from Helsinki Cathedral. lastminute.com has a fantastic range of hotels in Helsinki, with everything from cheap hotels to luxurious five star accommodation available. We like to live up to our last minute name so remember you can book any one of our excellent Helsinki hotels up until midnight and stay the same night.